So Firmware is finally uploaded using Tera Term. 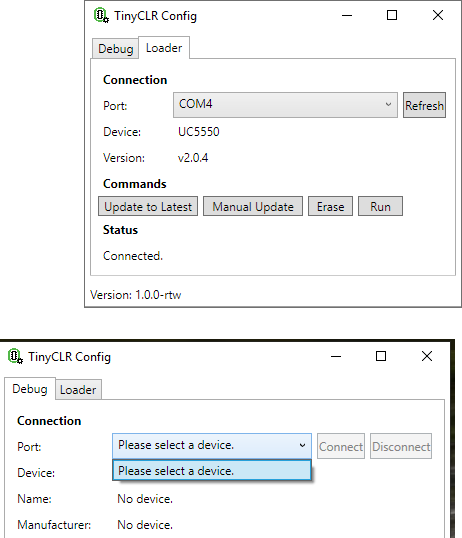 But still unable to connect with the board with the TinyCLR Config or Visual studio (Please check your hardware) . Any hints on that ? Doesn’t look like you have the firmware loaded. 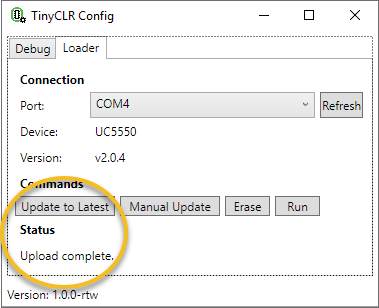 Go to the loader tab on the config tool and click update to latest. 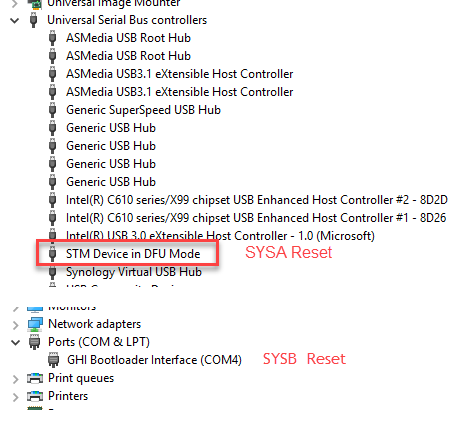 That is the loader not the firmware. 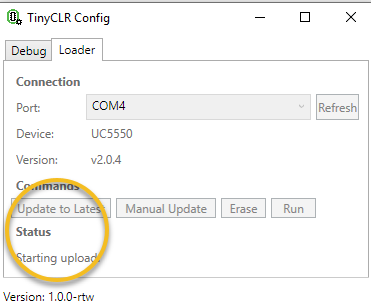 Click the update to latest button. This is what I have done !! 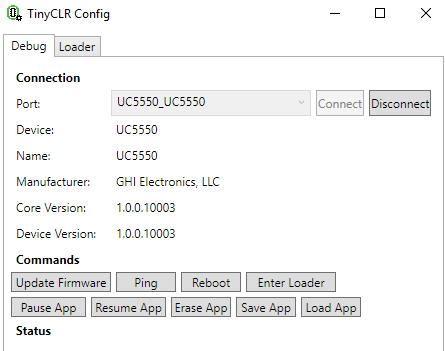 Found that the latest bootloader version for the UC5550 on the download section is 2.0.5. The update using the ‘Update to Latest’ is 2.0.4. I did a manual Update and got the v2.0.5 installed. 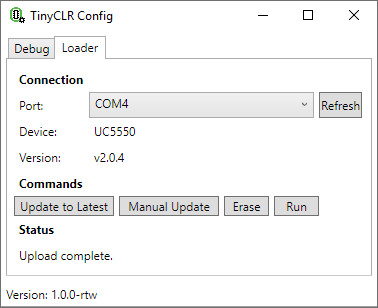 From there, the UC5550_UC5550 appeared in the Debug Tab and I could update the firmware. and thanks for your help Gus!